The Polisario and the MEPs who support its chimerical territorial claims have suffered, in one week, two setbacks in Brussels. The latest was the rejection on Wednesday (May 23) by the European Parliament of a draft resolution they submitted on the emergency item on the Moroccan Rif region. The draft was of course hostile to the interests of the Kingdom. Already on Thursday, May 17, the so-called representative of the pseudo-Sahrawi republic “RASD”, Mohamed Sidati, supported by some MEPs, was cuttingly disavowed before the International Trade Commission (INTA) by the representative of the European External Action Service (EEAS), Nicolas Bulte, who affirmed that “the Polisario has no quality to exclusively represent the interests of the Western Sahara population”. The new attempt to undermine Morocco has also failed. The draft on the Rif region, which lacks seriousness and objectivity, was dropped by the European Parliament, which ruled that the text contained gross, unfounded allegations. 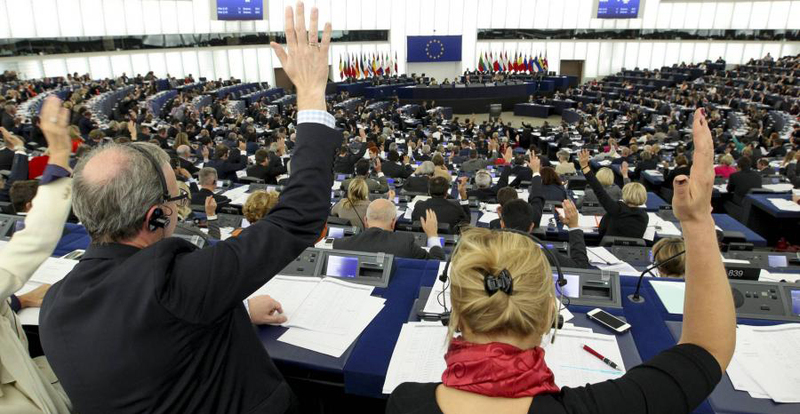 Unlike the draft resolution on the Rif, the European Parliament considered that the other issues submitted to it on the emergency item did present a real urgency. These issue particularly concern the attacks perpetrated against the Palestinian people, the hotbeds of tension in the Middle East, mass expulsions of sub-Saharan migrants by Algerian authorities, about which the UN High Commission for Human Rights alerted the international community on Tuesday, or the Iranian regime’s futile attempts to expand, via Hezbollah and Polisario, its influence in North Africa. Moroccan diplomacy and that of friendly countries have succeeded once again to thwart the malevolent maneuvers of opponents of the Kingdom’s territorial integrity and supreme interests. The Polisario and the parties hostile to Morocco should expect soon some other setbacks on the part of the European Commission. The Commission is currently looking at the reformulation of the association agreements between Morocco and the European Union in the fields of agriculture and fisheries with a stated intention to include the southern provinces of the Kingdom in these new agreements to the chagrin of the Polisario and its Algerian mentor.